This post was sponsored by Laundry Care. All opinions are 100% mine. Working from home for yourself is the dream for many people. You can set your own hours, you can work in your pajamas, you don’t have to beg and plead for a day off. I work from home for myself, and I must admit – it’s the best gig I’ve ever had. But if you’ve done any research about work-from-home opportunities, you’ve probably noticed that the majority of them are either computer or phone based. Well, I’ve found a great work-from-home job that fits the bill perfectly, so keep reading! 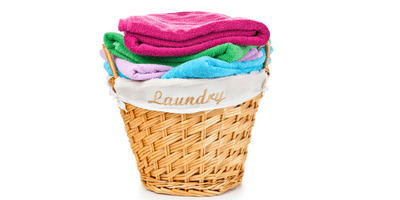 Recently, a company called Laundry Care reached out to me to see if I’d be interested in sharing their unique work-from-home opportunity with my readers. It definitely piqued my interest so I decided to set up an interview with Tara, an established Laundry Care provider, to find out some more details. 1. Please give us a little background on yourself, how you got started with Laundry Care, and how it’s going for you right now. I’m a married mother of 2, and I started with Laundry Care to be able to stay home with my daughters. My husband is a police officer and works crazy hours, so Laundry Care just made perfect sense! 2. Can you explain what you do for those who have no idea? We pickup and deliver residential and commercial clients laundry process it in our homes and deliver it back to our clients. 3. How much have you earned? I have been with Laundry Care for at least 4 years now I make a substantial amount of money. 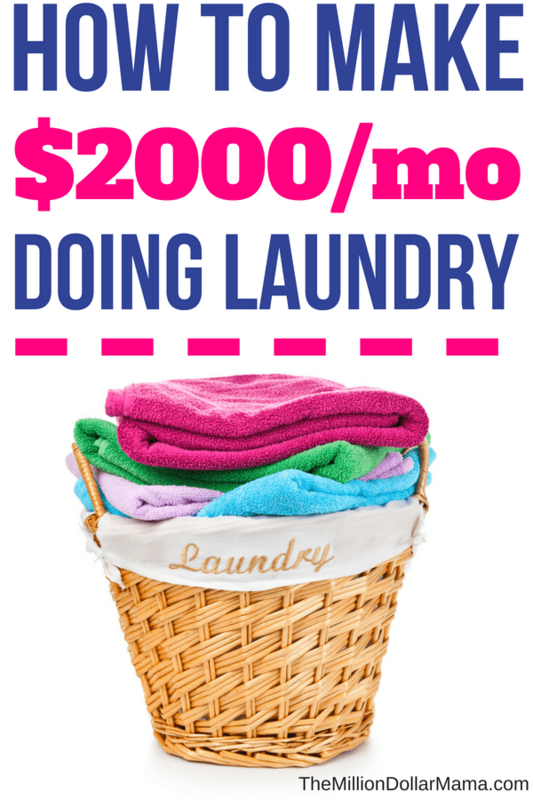 I’m a well-established provider in one of Laundry Care’s older locations and averaged $580 per week in May and $465 per week in April. 4. How much can a new Laundry Care service provider expect to make? How much can a person expect to make around one year after they start? It really depends on the area they are in and the effort they put forth. It also depends on the provider -you can literally make as much or as little as you want. Note from Laundry Care’s Director of Recruiting – Providers just starting out will need to grow their client base. We match clients looking for service to the closest Provider so when you are just getting started it will take some time. Providers who have a good base going can make anywhere from $200 – $400 per week. 5. What do you like about this job? Flexibility, I can still do all things with my girls and as a family and still be washing a load of laundry at the same time! 6. Who would this job be a good fit for? How much time does it take? A good provider is one who has children, or a retired individual looking to have something to do, maybe someone who has a full-time career but looking to supplement their income. You can literally set your own hours and work as much or as little as you want. There are very little start up fees. I believe it’s about $30-$50 now. Note from Laundry Care – The current cost to get started is the Supply kit which is $30 and includes Laundry Care bags, bag tags and some garment covers. The Laundry Care bags are reusable and as they give them to weekly clients they let us know so that we can charge the client and reimburse them for the cost of the bag. We have no other on-going fees to Laundry Care for being included. 8. Lastly, are there any other tips that you have for someone who wants to try this? Just be consistent with your marketing efforts, have patience in the beginning, always communicate, stay organized! I honestly think that this sounds like a perfect work-from-home job, especially for stay-at-home moms. Once you’ve put your load of laundry in, you don’t have to sit there watching it. You can play with the kids, do a workout video, cook dinner, etc – it’s a pretty passive way to make money! If you meet these requirements, then go ahead and submit your application here.